I am currently working on a novel in between short stories. With the time I have between work and other hobbies it is progressing gradually. I would, however, like to shift the focus to one of my stories recently accepted by AnthroAquatic for his sports anthology Claw the Way to Victory back in June, entitled “A Leap Forward”. Sometime last year, I had the idea for a story featuring Parkour (PK) a physical discipline which emphasizes the use of one’s body to circumvent obstacles in the natural and physical world. There had been few stories written on Parkour, and they, alongside the numerous videos to be found on YouTube, tend to focus more on the more action-intensive aspects of the sport. Although the benefits of PK are obvious, especially to people largely dependent on set paths and roads for getting around, I wanted to explore the social aspects of the discipline, and what makes its practitioners tick. Like any high-intensity sport, the adrenaline rush is there, but for some, it is also a way to entertain oneself in the absence of other means, and even a means to earn a living. Although PK looks glamorous in film and video, there are also other aspects of it that has been largely forgotten and passed over in favour of its more colourful and exciting visuals. Aspects such as the philosophy of the discipline, and the importance of bettering oneself for self-growth over the need for competition. Because PK finds its place not just in Europe where it had hailed from, but also in unlikely places such as Brazil and the Gaza strip, there are countless reasons why one would choose to take up the discipline, cultural and social differences aside. I believe that for people to truly understand a lifestyle, one has to go into the mind of those who do as they do. 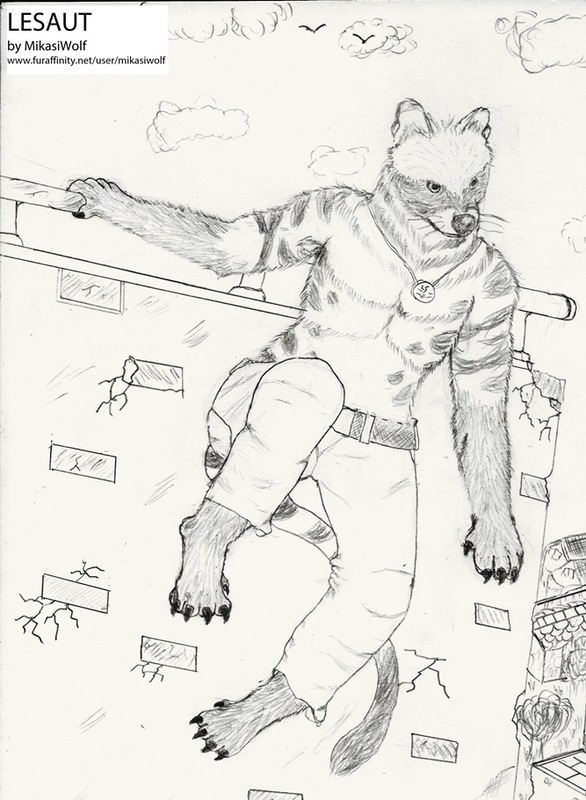 And in the case of “A Leap Forward”, my African Civet protagonist Lesaut. I used to pants-write every story, given that it is extremely liberating in terms of feel. However, as was often the case, things don’t always fall seamlessly together, especially when there’s a lot of detail like a novel would have. Without a layout or plan, the ending may not be known, which can give rise to conflicting events in the story itself. I now plan the layout of my stories on paper, unless they’re for shorter works, in which freewriting generally works best for me. I don’t always refer to the layout step-by-step and the ending can be different from what was originally intended, but at least I have a direction to work the story towards. Stories with a message, themes people can relate to. We may not be living in a futuristic world fifty years ahead of now, but some themes remain universal. Finding our place in a society that rejects others simply for being weak or different, for one. I also try to fit some action scenes in my stories, both to give the thrill of the chase and allow characters the chance to fight for their goals. I find it enjoyable to work on humourous stories, but because some themes don’t work well with humour, I don’t do many of them. 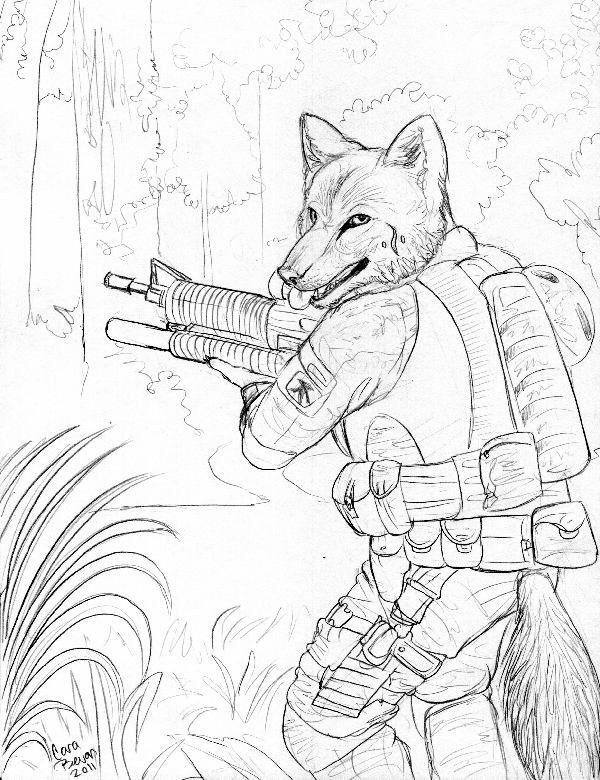 “Kenyak’s Conquest”, my story in the Anthrocon 2015 conbook was one of the few. Most people may think of Vikings as a bloodthirsty people who conquered other territories, so I thought it would be interesting to have the concept of “conquest” redefined for the protagonist, a swiving warrior. Mikasi from my second novel. Although Mikasi started off as the least confident of the other three apprentices he was travelling with, he was their mediator and unofficial leader despite the efforts of the most stuck-up apprentice. Despite being a mage apprentice, he favours the skill of the blade over spellcraft, much as how I prefer all things mechanical over electronics. 🙂 Lesaut from “A Leap Forward”, however, represents my free spirit. Before having read books by Kyell Gold, with Waterways being the first, I was focused more on the action-based and adventure aspects of the story. Kyell’s work reminded me, however, that with people being complex creatures, how they interact with each other can determine the outcome of one’s life as much as other events. Anthony Horowitz had taught me the importance of giving personality to objects, such as calling a vehicle by its make rather than simply a car. Shadows in the Snow, the second volume of Stories of New Tibet. There are few books that provokes my thinking when I’m not reading them, and this was definitely one of them. Most of the stories are dark and depressing in nature (though it seems more of that case in the first volume), but somehow it makes you think about the fragility of life. Although the stories take place on a planet an untold number of lightyears away, they still relate to situations in the human condition. I think the most important theme from the book is that leaving for greener pastures is not always be the best option. And sometimes, the only meaning in a planet and city so crime-ridden and bleak is that someone to share one’s life with, the someone you protect and hold dear. I really wish Sofawolf would release another volume. I sometimes do crafting, probably one reason why I’m interested in technology. I also enjoy video games as long as the story and/or game mechanics are interesting and require some player consideration to solve its missions. Poetry is also something I had started recently, and I also do the occasional art piece which I upload to my FA account. Art was a major introductory for me into the fandom, and I’m still inspired to do it. I used to work on a gag strip, but for now, the Way of the Word takes priority. Give characters a reason for their actions, and make them likable in the process. If you have a protagonist who is a jerk simply because that’s his innate personality rather than it having been motivated by other stronger factors (such as a troubled past, betrayal, etc. ), readers are going to be tired of him pretty quick and drop the book fast. Last of all, a story is about something happening, something different from normal events. A situation in which the characters work towards their goal, coming out better in the process. I believe something different has to happen in the story’s challenge or characters by the time the story ends, otherwise there is little reason to be reading it. I had read quite a few stories, in which two characters get together only to depart without really gaining anything life’s experiences. I believe there’s got to be more to differentiate a story from real life. I have a story out in Fred Patten’s The Furry Future, and stories in the Punked and Claw the Way to Victory anthologies (to be released in January 2016). My stories had also appeared in several conbooks such as in VancouFur 2015 (Noir), What The Fur 2015 (Time Travel) and Anthrocon 2015 (Viking Invasion). I will continue writing stories for conbooks if their theme interests me, so that’s another venue you may find them in. We all come together for a common interest; all things anthropomorphic. I had tried speaking with non-furries about anthropomorphic characters in writing and literature, and the most common answer I get is “Why do you make them animals instead of humans?”, often with a inscrutable expression on their face. Being in the fandom allows us to talk about possibilities otherwise impossible to do so in the real world. We even have people coming together from across the world to conventions just for this common interest. Whether we’re writers, artists, fursuiters or just fans, we’re united in that way. It doesn’t matter if you’re a cougar or a lion; the other guy who’s a mouse will still get along with you. Colours, patterns or hues don’t matter; if you can dream, you can have it! The choice to choose what character or species you wish to be gives members of the fandom the sense of fulfillment otherwise fixed in other subcultures. Check out MikasiWolf’s member bio here! This entry was posted in Uncategorized and tagged member spotlight, mikasiwolf. Bookmark the permalink.